Circuit boards are used throughout the electronics industry and act as the "brains" of the electronic components of the device. A television, for instance, uses circuit boards to process audio and video signals. Likewise, a remote control uses a circuit board to complete a particular connection and output the correct commands. Personal computers use circuit boards for a variety of purposes - graphics, memory, etc - including the motherboard, the circuit board in your computer that allows all the parts of the computer to receive power and communicate with one another. 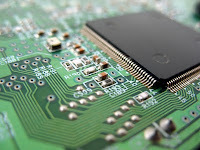 Circuit boards contain conductive pathways, or traces, to connect electronic components and are built using etched copper sheets often with soldered surface mount components laminated onto a non-conductive substrate, such as fiberglass. Modern printed circuit board (PCB) technology uses surface mount components in many instances to replace through-hole technology that would fit components with wire leads into holes in the circuit board. How is Nitrogen Gas Used With Circuit Boards? Nitrogen gas is used with printed circuit board manufacturing during processes including reflow ovens and selective soldering to attach surface mount components to the PCB. Nitrogen is used to prevent oxidation for both selective soldering and convection reflow soldering. Oxygen and resulting oxidation can weaken the solder so N2 gas is applied to maintain a clean, dry, inert atmosphere during the process to create a strong and lasting bond. Why Use a Nitrogen Generator for Circuit Board Manufacturing? A Nitrogen Generator is an ideal alternative to high pressure N2 gas cylinders. Nitrogen Generators produce high purity N2 gas from the air using a simple PSA Technology or Membrane Technology to separate the Nitrogen gas particles from the air. It produces a limitless supply of N2 gas, on-site and on-demand, without need for gas company contracts or dependency. Contact South-Tek Systems today to learn more about the benefits of using a Nitrogen Generator for printed circuit board production: 888-526-6284.